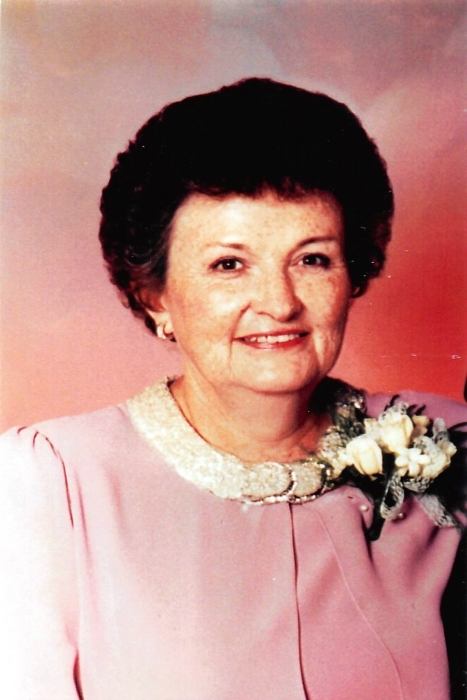 Nancy Ann Dallas, 82 of Charlestown, IN passed away on Wednesday November 21, 2018 at Kentuckiana Medical Center in Clarksville, IN. Nancy was born on August 10, 1936 in Butcher Hollow, KY to Roosevelt and Minnie Amburgey Gibson. She was a member of the Bethel Baptist Church and was an LPN and worked in the Emergency Room at Clark Memorial Hospital in Jeffersonville, IN for 31 years. She was preceded in death by her husband Binkley Dallas. Nancy is survived by her sons, John Dallas (Karen) of Charlestown and Binkley Dallas (Christian) of New Albany, IN; grandchildren, Corey Dallas (Abby), Christan Dallas, Lesha Dallas and Carrianne Dallas; great grandchildren, Pierce Dallas and Jada Braden. Life Celebration Services will be held at 1 pm on Wednesday November 28, 2018 at Grayson Funeral Home in Charlestown with burial in Charlestown Cemetery. Visitation will be from 4 pm to 8 pm on Tuesday and after 11 am on Wednesday.